You of course want to start with a really good soaking mineral. 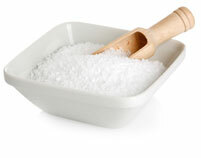 It can be one kind of mineral, such as Dead Sea Salts, or a combination, like a mineral salt and Epsom salt mix. If muscular relaxation is a priority for you, we recommend that you include either Epsom salts or plain magnesium salts into your blend. Next, you need to choose your essential oils, of which there are many. However, not every essential oil is suited for relaxing your muscles, or even necessarily your mind. For both muscular and mental release, consider using oils like Lavender, Peppermint, Cypress, Sweet Birch, Chamomile, Rosemary and Frankincense. Your best bet is to make a combination blend with a few of these oils to make sure you hit all your bases. For example, a blend of Rosemary, Peppermint and Chamomile would give you a fuller spectrum of both physical and mental benefits since Chamomile focuses a bit more on the aroma therapeutic side of things and Peppermint is a little more suited for relaxing your muscles. When it comes down to formula strength, go off of your nose. Simply measure out the amount of salt that you want (this process can be as basic as filling up your preferred jar or other container of choice) and then start with 10-20 drops of essential oils for every cup of soaking salt. You should stir this all together in a mixing bowl and add more essential oils as you see fit until the aroma is at your desired strength. Once reached, you can use this blend any time you want to relax, rejuvenate and give yourself some high quality and wonderfully low maintenance (and low cost!) TLC.